Websites are in English unless otherwise noted. Leo Baeck Institute: A major institution devoted to German-Jewish history where you can search online their extensive book and archival holdings. Central Archives of German Jewry (English and German) This is the new Synagogue Berlin-Centrum Judaicum site, which lists archival information by clicking on Archives, then Inventory, then Central Archives of German Jewry. Central Archives for Research on the History of the Jews in Germany: English home page, but links to resources are all on German language pages. Contains primarily records since 1945. German Jews at Stutthof Concentration Camp: Names of 2,750 German Jews at this concentration camp near Gdan'sk. Information about 825 Holocaust victims, 1942-1944. Jews in Würzburg, 1900-1945: Biographical dictionary of over 13,000 Jews living in Würzburg, Lower Franconia, in the early 20th century. 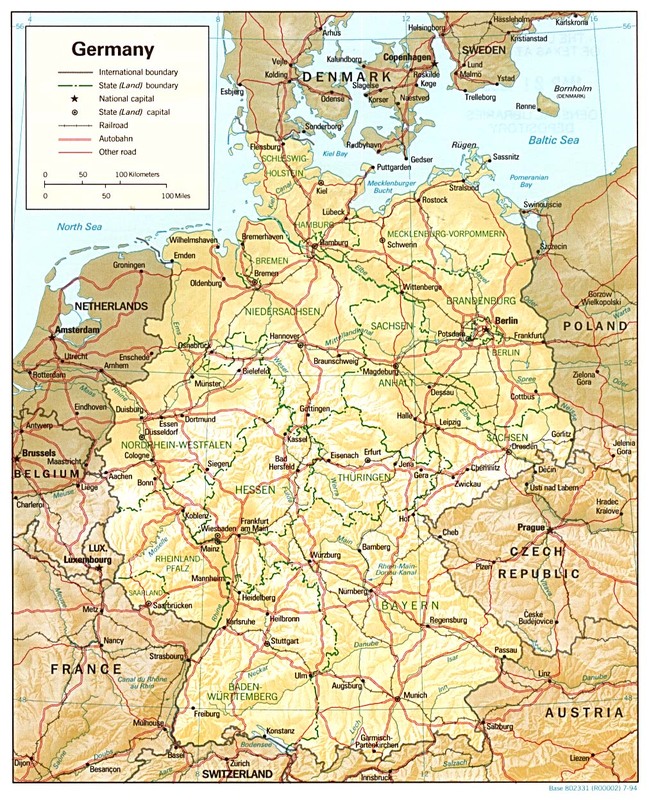 Jewish Families of Northern Germany: 3,000 families from Lower Saxony, North-Rhine-Westphalia, Hamburg, Bremen, and Hessen. JewishGen Online Worldwide Burial Registry: Over 4,000 burial records for Germany and German landsmanshaft cemeteries worldwide. West Prussia 1812 Citizenship: Names of 2,400 Jews in 50 towns in West Prussia who were granted Prussian citizenship in 1812. Westphalian Jews and the Holocaust: The fate of over 8,000 Westphalian Jews. Yizkor Book Necrologies: 6,000 entries from lists of Holocaust martyrs in Yizkor Books for towns in Germany. Aufbau Newspaper Database: This website has all the issues of Aufbau scanned from the very beginning in 1934 to Dec. 1950. Deutsche Verwaltungsgeschichte von der Reichseinigung 1871 bis zur Wiedervereinigung 1990. 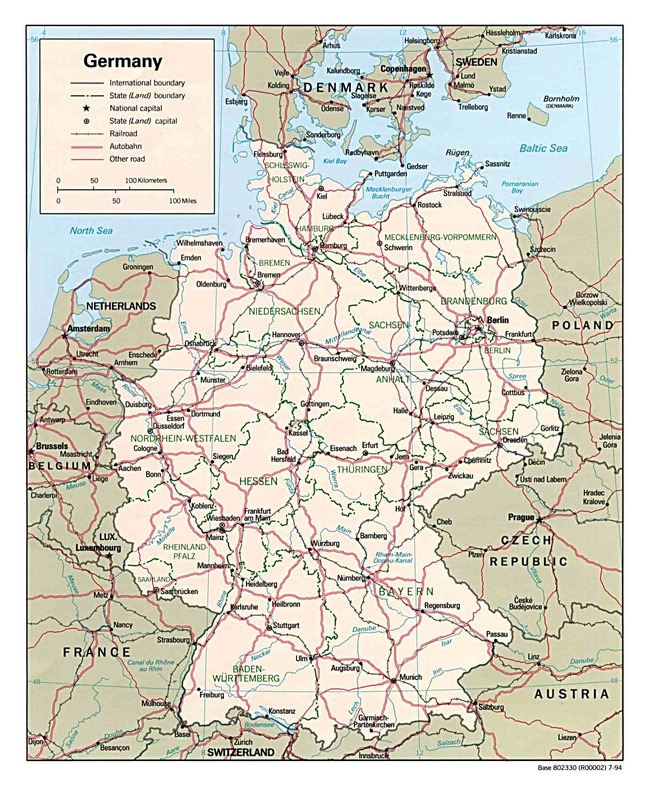 Contains a gazetteer of Germany, arranged alphabetically at http://www.verwaltungsgeschichte.de/ortsbuch39.html and hierarchically beginning at http://www.verwaltungsgeschichte.de/laender.html (for pre-1945). Genealogical Resources for German-Jewish Ancestry: Historical review with many references to small community and broad-based books, and to various museums and memorials. IAJGS Cemetery Project: Germany: Contains information about specific Jewish cemeteries. 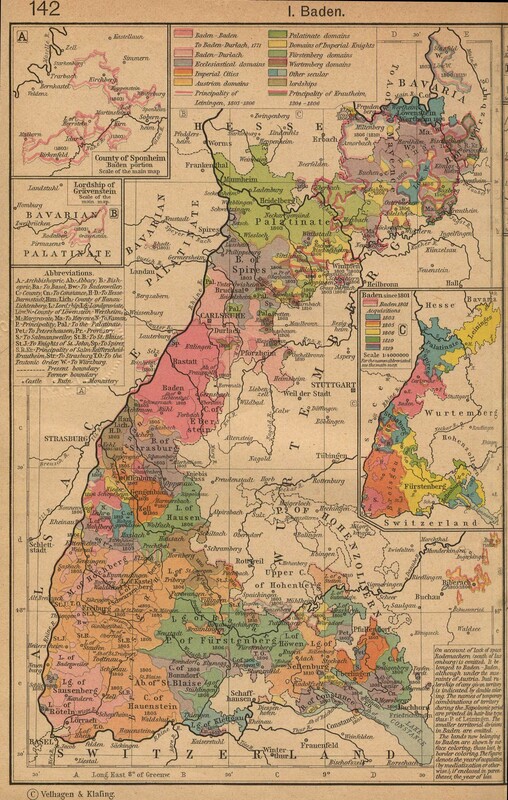 Territoriale Veränderungen in Deutschland und deutsch verwalteten Gebieten 1874 – 1945. county border changes, incorporations, etc. For those who are seeking books on German-Jewish history, there are a few sources that have been found to be especially useful. We have no personal interest in any of these, and are presenting them as an aid to researchers. Literatur Handlung: It is often referred to by the name of the owner, Dr. Rachel Salamander. Their main store is in Munich, with branches in Berlin and Vienna. They specialize in Jewish books and have many books on the histories of Jewish communities, as well as a host of other German, Jewish and Israeli books, CDs and tapes. Amazon: In Germany it has many books relevant to German-Jewish history that are not sold through their US-based website. Evelyn Pearl (New York): She acquires books on the Holocaust and German-Jewish history and issues a catalog once or twice a year. You can get on her mailing list. Their shipping costs are less because they ship from their location in the U.S. southeast using U.S. postal service priority mail. Osiander Bücher: This is the oldest booksellers in Germany and is connected with the University in Tübingen and specialize in Baden-Württemberg. Antiquariat Laessig und Jeschke: A Berlin book dealer with online catalogs and some Judaica. Zentrales Verzeichnis Antiquarischer Buecher: a gigantic database of secondhand books from dealers all over Germany. Please Note: Many of these are large images; if you have a dial-up connection, they may take a few minutes to download. 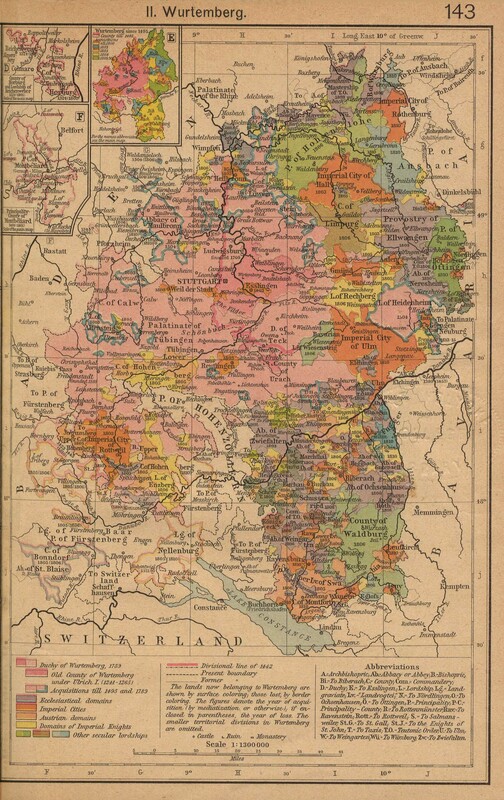 Bavaria: The Electorate of Bavaria (1794): northeast, northwest, southeast, southwest. Rhein: Nördliche Fortsetzung des Rhein (1845): northeast, northwest, southeast, southwest.